African Ancestry with Gina Paige | New Growth Hair Magazine | We capture the culture of urban barbershops and beauty salons. In 2003, Gina Paige and Dr. Rick Kittles founded African Ancestry, the world leader in tracing maternal and paternal lineages for people of African descent. Paige and Kittles are the perfect team. Kittles uses his expertise and background in science while Paige uses her background in business to help our community find our African roots. Paige holds a degree in Economics from Stanford University and an MBA from the University of Michigan. Before her role as African Ancestry CEO and Co-Founder, Paige developed and managed products for Fortune 200 companies such as Sara Lee and Colgate-Palmolive. Later, she founded GPG Strategic Resources, a boutique consulting firm in New York specializing in strategy development, new product development and project management. Paige brought her wealth of business experience to African Ancestry to help our community to find our identity. 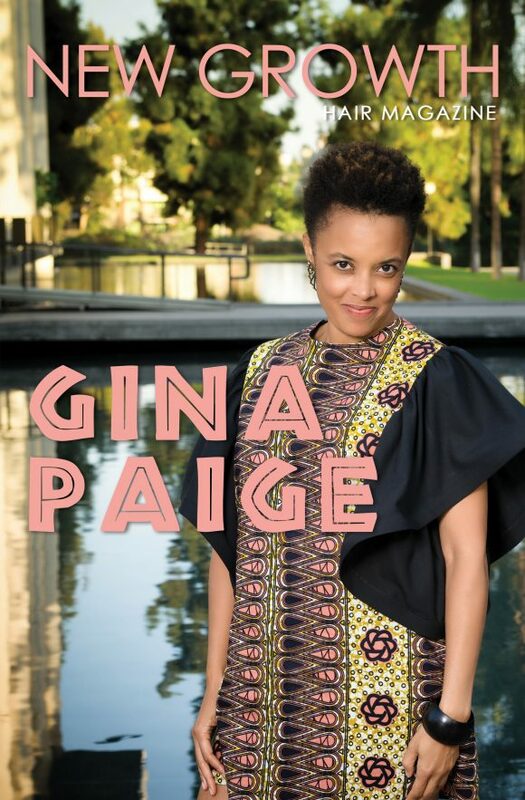 Below is my in-depth interview with Gina Paige about her African Ancestry experience. Phillips: How did you get involved and become a co-creator of African Ancestry? Paige: We created African Ancestry to help black people transform the way we see ourselves and the way we view Africa. Black Americans are the only group that can’t point to a country of their ancestry. On a daily basis, we interact with other people who can point to their country of origin: Italian Americans, Mexican Americans, Indian Americans, Chinese Americans, and Irish Americans. Almost everyone knows where they came from except for us and psychologically knowing where we come from is a critical component of knowing who we are. Now, modern technology enables us to find out about our African ancestry. We no longer have to claim an entire continent as African Americans but we can be very specific about the cultures and traditions that our ancestors were connected to such as the Mandingo people living in Senegal or the Mbundu people living in Angola. In 2017, we still refer to ourselves as African Americans. We know almost everything about the American part of our title. Whether we choose to stand, sit, or kneel for the National Anthem, we still know the words of the song. We can name five presidents. We have a firm handle on American culture, values, and history. We know very little, if anything, about the African part of our title and that’s by design. During our primary or university education, most of us were not taught about our history prior to the period of enslavement. We were conditioned to believe that there is something negative in being African. In an age of information, African Ancestry is determined to empower our people with the truth about our ancestry. Phillips: Please tell me about your story. Where are you from? What was the burning desire that led you to co-create African Ancestry? Paige: I came out of my mother’s womb black, proud, and very Africa-aware. Honestly, I didn’t give much thought to where my ancestors were from in Africa. At that time, the answer to the question wasn’t even within the realm of possibility so I never thought about it. Dr. Rick Kittles, my business partner, had a different story. He actually wondered what makes people look different, act different, and have physically different characteristics. He learned that he could use his skills in biology and genetics to answer many of his questions. When Dr. Kittles develop a method to use DNA to trace our country of origin, that’s when the light bulb went off. When the community found out about Dr. Kittles work, he was inundated with requests. Dr. Kittles has a background in science and research but running a business wasn’t his area of expertise. I saw this as an opportunity to use my background as an entrepreneur, launching new products, product line extensions, and managing product lines to assist Dr. Kittles with launching African Ancestry. Phillips: Please share your African Ancestry results? Paige: Several of my family members have taken our test. When one person takes the test, the results are good for the entire family who is on that branch of the family tree. My mother took the maternal test and I learned that we share maternal genetics ancestry with the Fulani people living in Nigeria. My father took the paternal test, which I couldn’t have taken because I am not a man, and I learned that I share paternal genetic ancestry with Hausa people living in Nigeria. Phillips: Have you travelled to Africa? If so, how were you received when you returned home? Paige: I’d love to travel to Nigeria, but I haven’t travelled there yet. I have travelled to Cameroon with two separate delegations of African Ancestry family members who we helped to trace their ancestry to Cameroon. The reception in Cameroon was mind-blowing. Everywhere we went, from the smallest village to the mayor’s office, and everywhere in between the entire group was welcomed and people were excited that this group of African Americans wanted to know where they were from, found out where they were from and on top of that were from Cameroon. It was a very positive and transformative experience on both sides because they don’t learn a lot of positive things about us, just as we don’t learn much positive about them. So, it was, to us, a great exchange of information and we learned the truth about each other. Before we departed for Cameroon, our delegation met at the Dallas airport at the gate area and everybody considered themselves African American who had traced ancestry to Cameroon. When our flight landed in Yaoundé, Cameroon, they got off the plane calling themselves Cameroonian American. After being in the country for ten days they decided they were Camericans. 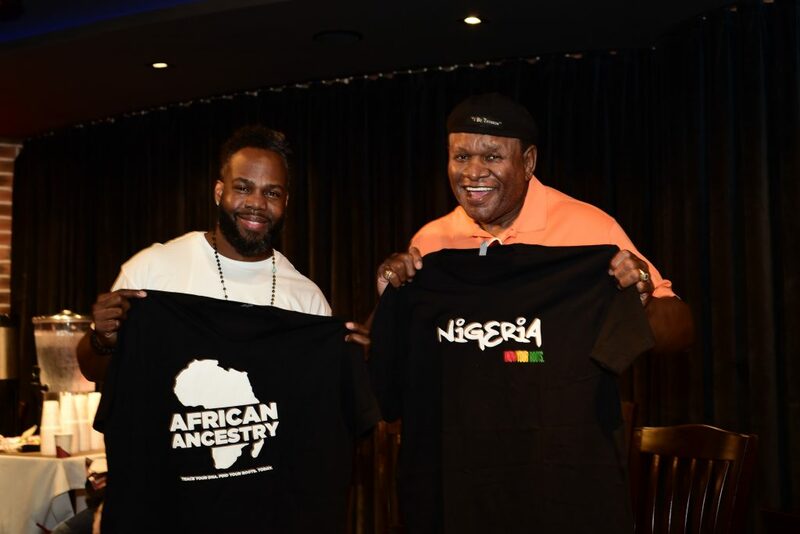 They created a brand-new identity that evolved out of that ten-day trip based on their experiences and today Cameroonians living in the United States often refer to people who have taken their test as Camericans. Your readers don’t have to fear not being accepted when they return to Africa. I have only seen indigenous communities embrace people who want to know where they are from. Phillips: What obstacles did you face during the start-up of African Ancestry? Paige: One of the biggest challenges was criticism from competitors and from other scientific researchers. We got criticized because we wouldn’t share our database. Our competitors wanted us to share our database and our scientific method. We are a private business and we weren’t willing to share our confidential information with the public. There is no business that shares its core concepts. Chick-fil-A doesn’t share the recipe for its chicken and McDonald’s doesn’t share the recipe for its special sauce. Even though other businesses aren’t asked to share their core concepts, we got criticized in the media by mainly white organizations, researchers, and journalists for keeping our scientific process private. Another challenge we faced was motivating black people to submit their DNA. As a community, we are very skeptical about how our genetic material is handled. Due to events like The Tuskegee Experiment, Henrietta Lacks, and a variety of negative medical experiences that affected our community, we had to really do a lot of education and we continue to do education to improve the genetic literacy of the African American community. We faced the typical challenges that many small businesses have in terms of funding. We self-funded the company which dictated our ability to create brand awareness and grow our company. I think we had all the regular challenges that any start-up has, but we’ve been in business for 14 years. We are obviously here for a reason and we are committed to assisting our community with finding our roots. Phillips: In closing, do you have any additional information to share with our readers? Paige: We are the original victims of identity theft and our identity theft is the result of a very well-orchestrated plan to make us believe that we don’t come from greatness. 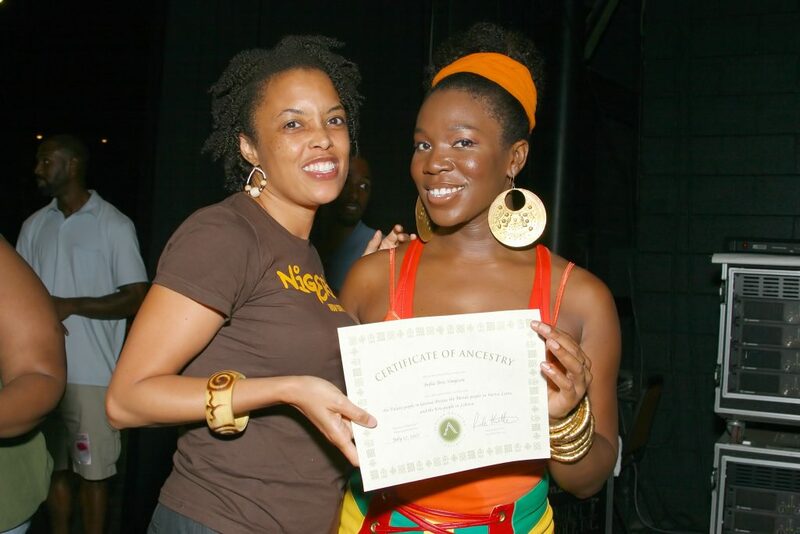 African Ancestry test kits dispel that myth that we are a people with no history and can show you and all future generations the true nature of your greatness. It’s the Sankofa principle. You look back to understand the past in order to move forward successfully into the future. And that’s what African Ancestry does, it helps you to understand your past in a way that no other organization can and sets you up for a very ecologically healthy path forward. African Ancestry is a family project because when one person takes the test, the results are the same for every person on that branch of the family tree. So one test can help between 20 and 100 people discover their African Ancestry. I encourage your readers to consider discussing African Ancestry with their family members at their family reunion. If everyone chips in $10 or $20 dollars, the family can share the cost of our African Ancestry kits.